You are the current highest bidder! To be sure to win, come back on Apr 04, 2018 11:37 CDT (17:37 BST) Date Format as the lot closes or increase your max bid. 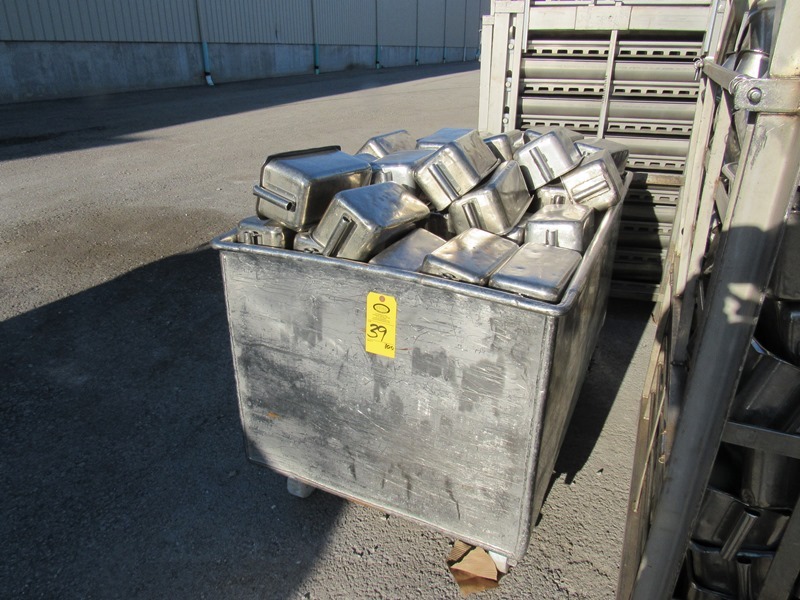 Stainless Steel Ham Molds, 6" W X 12" L X 5 1/2" D, in stainless steel bin, 14 Pound Mold, mix of Hoy 114 & Adelman SE-20 with lids & springs ($50.00 Required Loading Fee- Rigger: Nebraska Stainless - Norm Pavlish - Phone #(402) 540-8843) Prices quoted are for the item(s) loaded on your truck. If additional packaging or palletizing is required there will be additional fees.